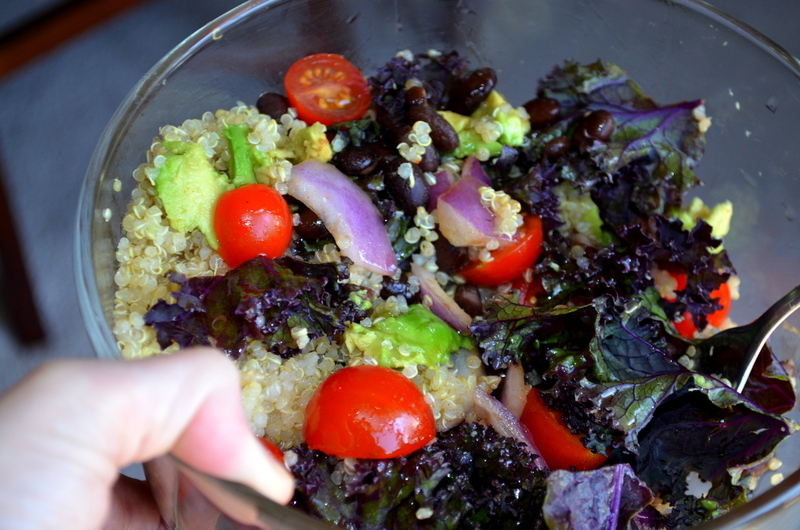 This one has so many of my new favorite things in it, and it was the first time I used quinoa in a salad. Would I do it again? Yes, yes, yes! So good! I am finding that putting quinoa and black beans in my salads, egg dishes, etc., really makes them so much more filling and delicious! I used one of my new favorite combinations as a dressing for this salad: honey, chile powder, and red wine vinegar. While quinoa is cooking, cut up the onions. Pour the olive oil in a large skillet and add the onions, sauteing them. After a few minutes, add in the black beans and some chili powder and let cook, stirring occasionally. Wash the kale and tear it into small pieces. Wash the tomatoes and cut them in half. Put some in two different bowls. When quinoa is done, split it between the two bowls. Add in the bean/onion mixture. Scoop out half of an avocado for each salad. Combine the honey, red wine vinegar, and chili powder to make the dressing. I used more honey than I did red wine vinegar, but you might want to experiment and see what you like. Wow, that purple kale really helps the “beauty” aspect of this dish! Gorgeous colors and it sounds delicious…lots of good, healthy stuff. 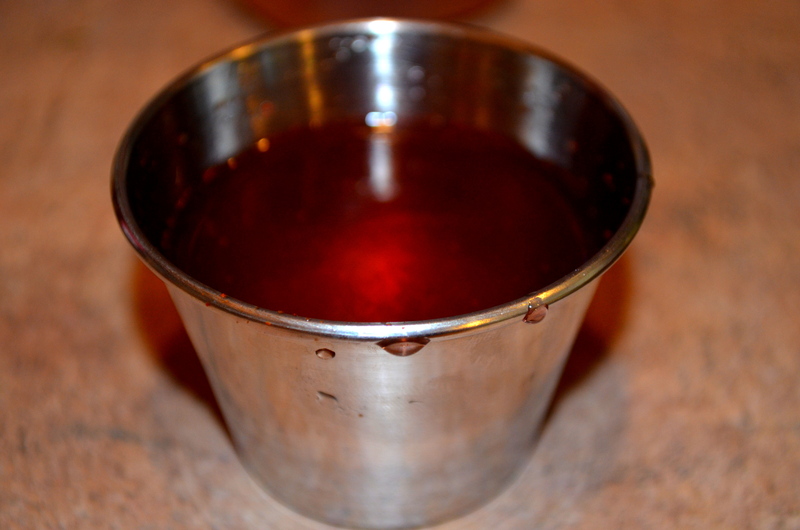 The vinaigrette sounds simple but delicious too! 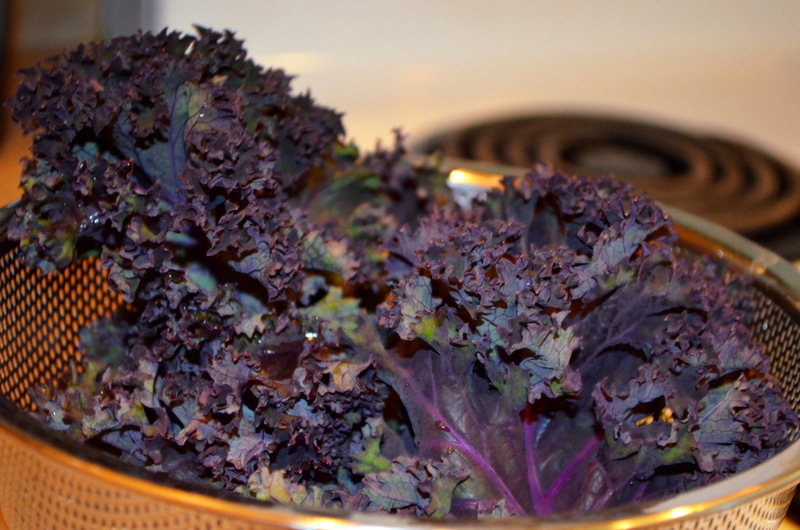 I hadn’t tried the “purple” kale yet….love it! I love all kale….wonderful! 🙂 But the color of this is really nice! Thanks so much Nancy! Hope you are having a good day! Thanks Alex! Isn’t quinoa wonderful!? Love, Love, Love it! 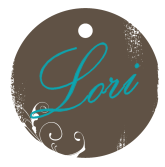 Soo pretty, Lori! I love all the colors! Thanks Joanna!! 🙂 Means a lot for you to say that! All I can say is “WOW” !!!! !